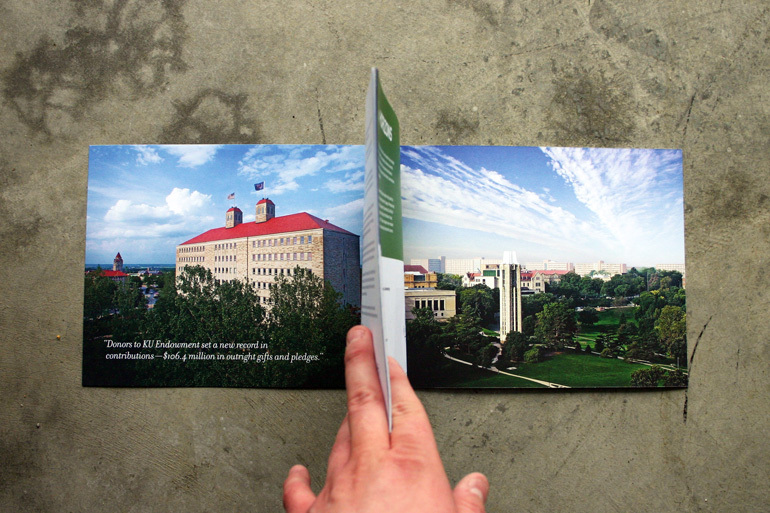 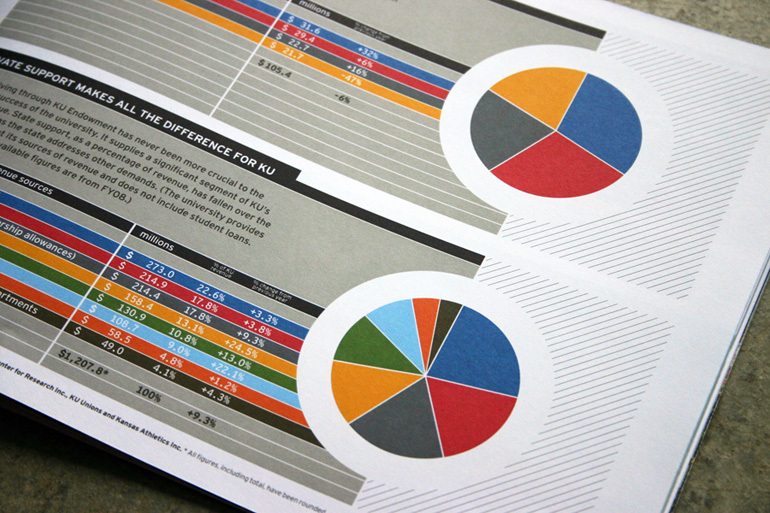 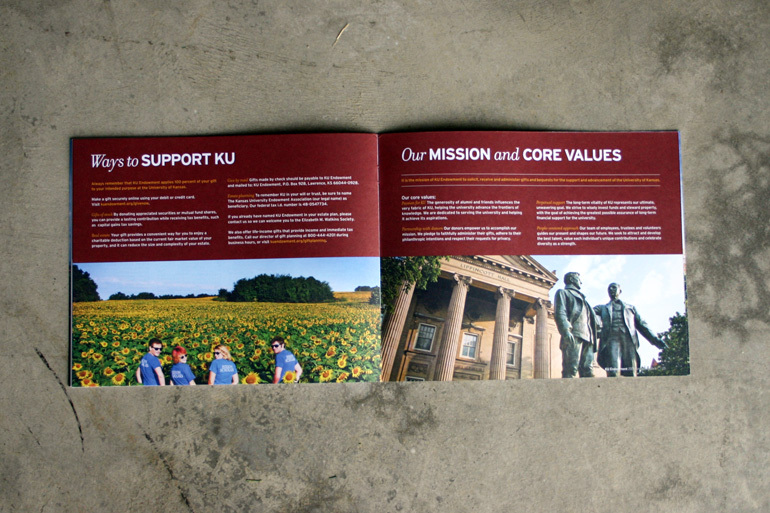 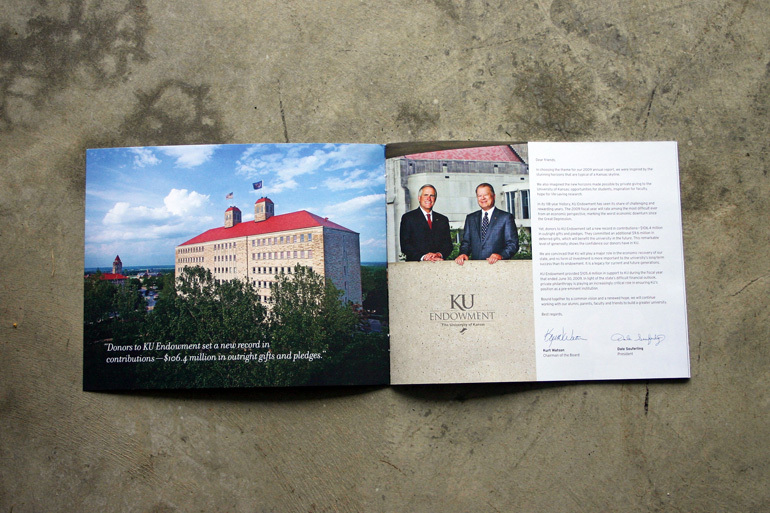 KU Endowment Art Director Chris Millspaugh asked the collective to lead their creative team in the design of their 2009 Annual Report. 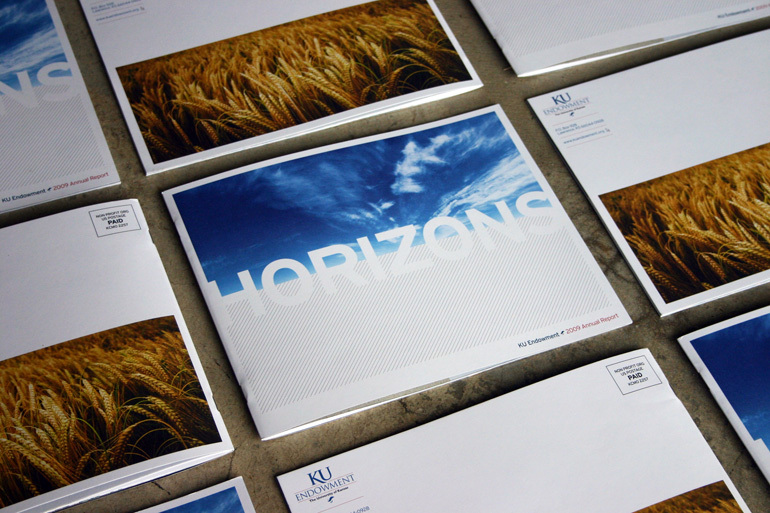 Our team handled all aspects of the project for KUE from story-board concept sketches to photo shoots and file production. 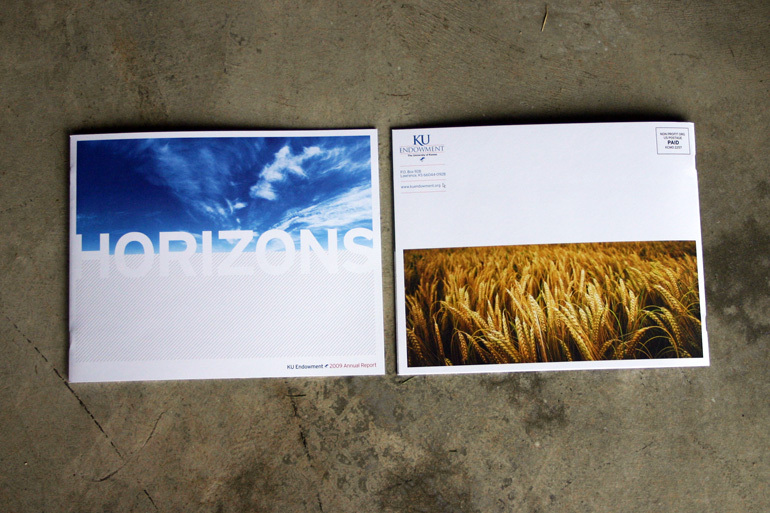 Thanks again KUE! 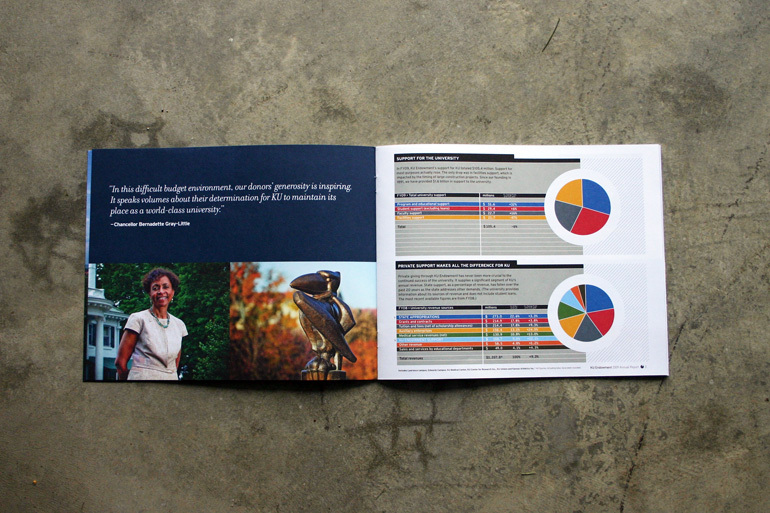 We look forward to the next project!